'One day you're in, the next day you're out' is the famous quote repeated by Heidi Klum on every episode on Project Runway as she gives the hopeful contestants a dose of reality when it comes to the business of fashion. That same sentence proves especially true in Singapore where over the past few years, so many home-grown labels have come and gone, mainly for not being able to turn their brand into a viable business. So when two young and talented Singaporean designers come together and build a success story over the span of just two years, they must have been doing something right. The duo - namely Sven Tan and Kane Tan - who were previously the designers behind the beloved local label AllDressedUp, have decided to continue their journey independently after the later closed down and lunched their brand IN GOOD COMPANY (IGC) which is now one of the most celebrated and successful local labels around. 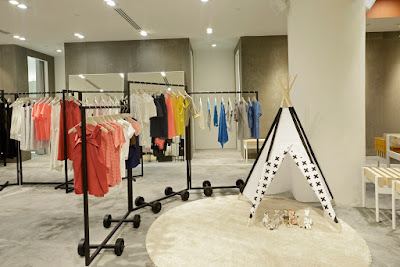 Last week marked another milestone in their journey: the launch of their first flagship store - at ION Orchard nonetheless. Obviously, I couldn't be happier!! !